Packed with cranberries, apricots and other goodies, this product is made in small batches and contains generous amounts of our delicious mulled wine. We’ve found that it is fabulous with ham and equally amazing with cheese. We hope you enjoy it as much as we do. 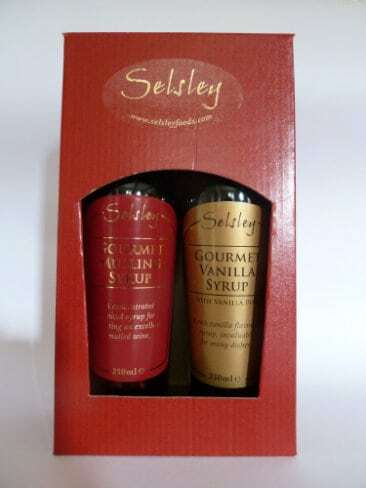 A wonderfully packed gift for friend or family, choose any two of the following; Gourmet Mulling Syrup, Vanilla Syrup with Vanilla pod, Ginger Syrup with Lemongrass, Raspberry and Redcurrant, Sour Cherry and Vanilla or Blackcurrant with Cinnamon. They come packed together in a beautiful red box finished off with the Selsley logo. Perfect for any foodie.